← What about that Spa? At first I thought that the power problem could be something the electrician could figure out for us. But they could not send someone over right away so I got out the multimeter to check for power. 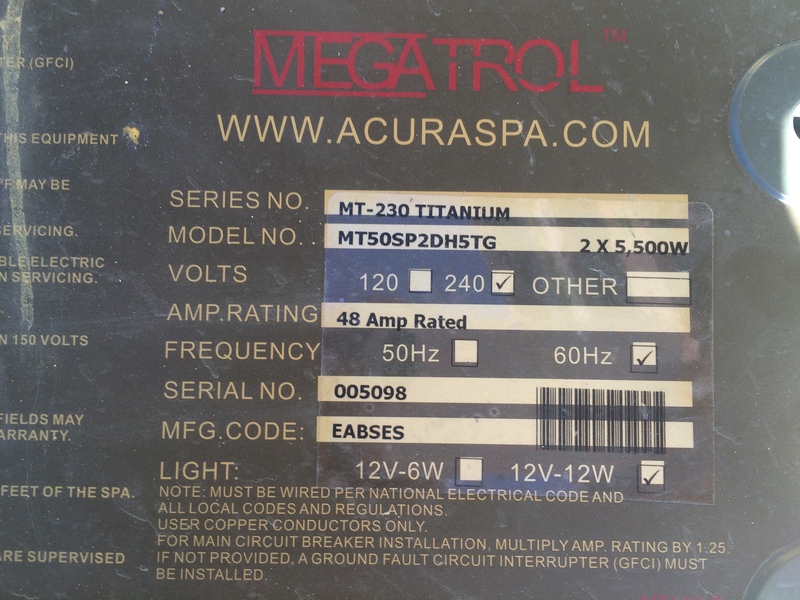 I found the power to the spa was correct and it was hooked up correctly. So when the electrician called I said I would call if I needed them but it looked like the equipment needed work. 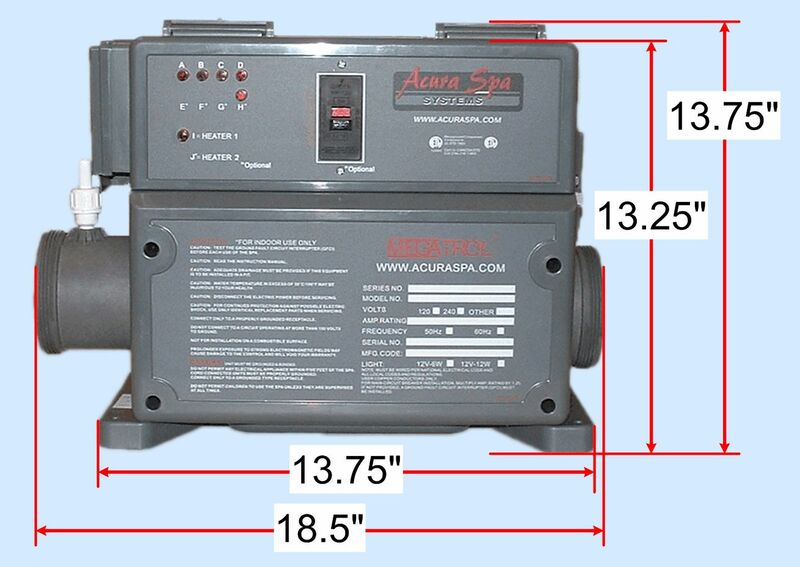 We have Acura Spa Systems equipment in the spa. I was pleased to read about this company before I purchased the spa because even though the shell maker is out of business, the equipment manufacturer is going strong and has a Do It Yourself philosophy. I found they provide great support through Joel, who has been building the equipment and supporting it for 34 years. He came to my rescue to help troubleshoot the system and was able to help me diagnose the problem. I was hoping it was just a wiring problem. Something not connected that should be. 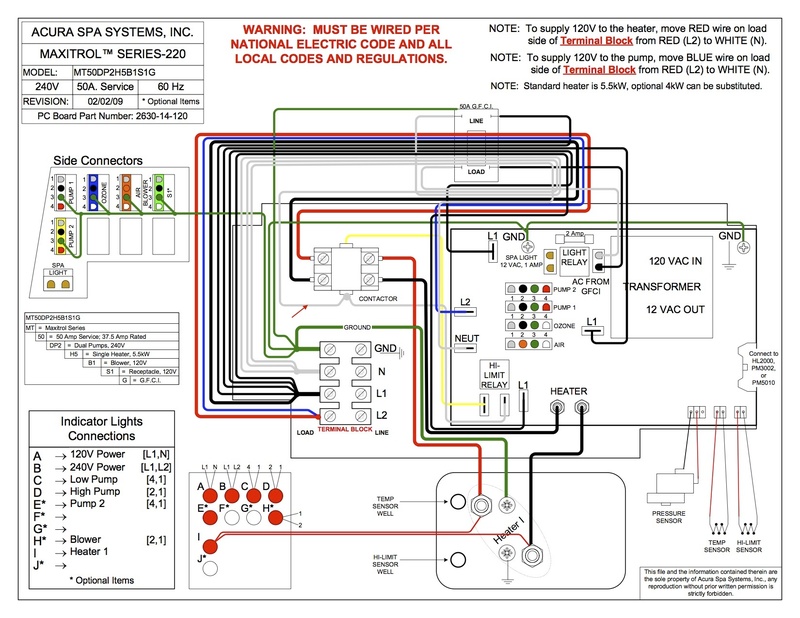 So I followed the wires in the diagram from the website to be sure they were all where they were supposed to be. 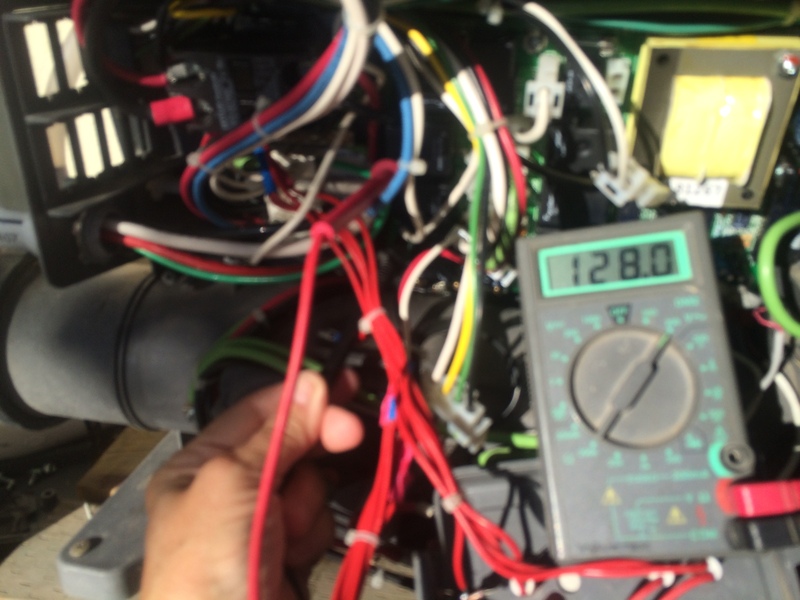 I was definitely getting 220 to the supply and from the supply to the contactor and from there to the board. But there was no power going through the board to the pump plug in. Joel had me go back to the beginning and trace all of these points with the multimeter to assure himself that the board was actually not delivering the power. I first purchased a new contactor, as the old one was rusted inside and I thought it was an easy part to replace. 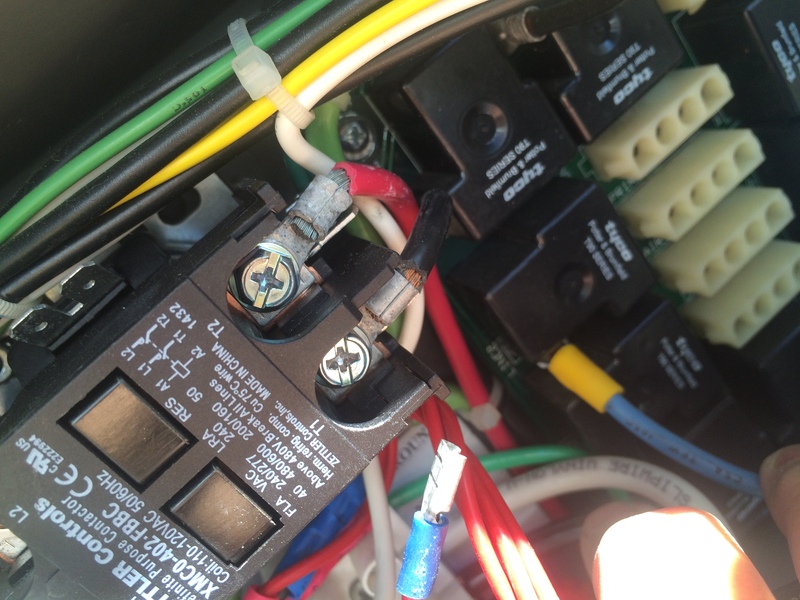 But when Joel was helping me trace the power to and from the new contactor that we realized it was probably not a problem with the contactor, but the board itself. RATS that new board set me back almost $500. A whole new spa pack with the double titanium heaters we have would have been just over $900 but Joel discouraged replacing the whole thing. I would have been a lot more work and almost twice as expensive. Joel needed the information about the spa pack to send the right board. But it came pretty quickly which I appreciated since I hated to let the water sit unfiltered for too long. I watched some videos on replacing a PC board in a spa pack and it was not too difficult to unplug everything from the board and unscrew the old board then place the new one. 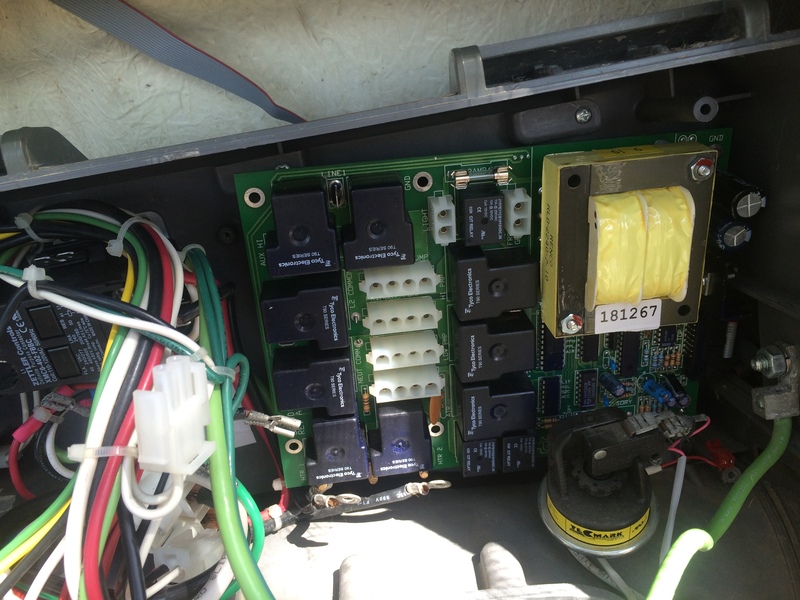 A couple of details were not completely evident, the heater connections at the bottom of the board had to be installed before the board was in place because they are below the heater cylinder. That meant pushing the wires down out of the way to get the board in the right place to screw in which took me awhile. Finally I got the board in and tested the power and there was power to the board but none coming out AGAIN! But I had forgotten one small step. Turning ON the pump switch at the topside control panel! Once I did that–at Joel’s direction, the pump power was restored. Then I hooked up the pump while Joel was on the line and it worked. However on low speed the new contactor chattered. So another problem to work through emerged. This entry was posted in Landscape, Spa. Bookmark the permalink.